(Feb 8): Asian currency-watchers focused solely on the impact of US President Donald Trump's policies on the dollar or Beijing's fight against a weakening yuan are ignoring risks emanating from upcoming elections in Europe, according to the region's most accurate foreign exchange forecaster. Elections are due this year in France, Germany, and the Netherlands, with anti-establishment candidates attempting to ride a rising tide of global populism that has already helped given Donald Trump the US presidency. 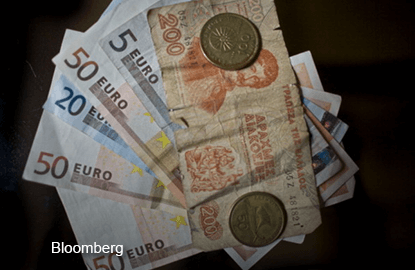 While the euro has so far been resisting political risk — gaining 1.5% against the dollar this year — investors including Aberdeen Asset Management Plc and Credit Agricole CIB have said the rally might prove short-lived. Asian currencies including China's yuan, South Korea's won and Taiwan's dollar, are also vulnerable to any tightening in Europe's liquidity conditions because their economies rely on external funding and trade with Europe, Cheung said. The EU accounted for about 15% of total trade with China and 10.4% with South Korea at the end of 2015, according to Bloomberg, while the European Central Bank is weighing its monetary policy in the face of accelerating inflation. Bloomberg's dollar index has fallen for straight six straight weeks after surging to the highest in more than a decade after Trump election victory. Markets were "overly optimistic" about Trump's campaign promises to boost growth and government spending, Cheung said, with much of the new administration's initial pronouncements aimed at trade. "People are really focusing on the US and China at the moment, but they seem to be ignoring Europe and its geopolitical risks, which could potentially add volatility this year,'' Cheung said.